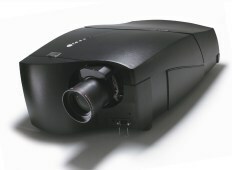 Projectors powered by DLP technology offer incredible picture quality. Due to the speed of the DLP Chip, Video is smooth and film-like. Fast action video is sharp and clear without all of the motion blur that may be seen in other technologies. DLP Full HD 3D so real you can feel it. Imagine actually feeling a bucket of water thrown at you or seeing hot air balloons floating in your living room. Plus, many DLP projectors feature Brilliant Color™ technology which uses up to 6 separate colors to create the image on the screen. The result is stunning, vibrant colors that are natural and accurate. Video enthusiasts agree that when it comes to home theater video performance, look no further than DLP Technology. With its built-in active 3D stereo capabilities, Barco's Galaxy NW-7 comes readily equipped for applications that require 3D, including geophysical data analysis, product design, architectural simulation or scientific research. Its dual link DVI input maintains a full digital link between IG and projector without compromising stereo rates. The Galaxy NW-7 is fully compatible with Barco's XDS Control Center software suite. This means you can display and control multiple sources simultaneously, in any mix of 2D and 3D, in a familiar Windows desktop environment. With mouse and keyboard, you can easily move and resize these source windows. The XDS Control Center also allows you to use other networked desktops remotely, send your own desktop to the display, and makes video conferencing much easier. • Edge blending technology creates one continuous image without blurry overlap zones where projections converge. • DynaColor and linked constant light output (CLO) ensure the same light and color levels across the entire screen. Looking for “Education DLP Link Projectors”?